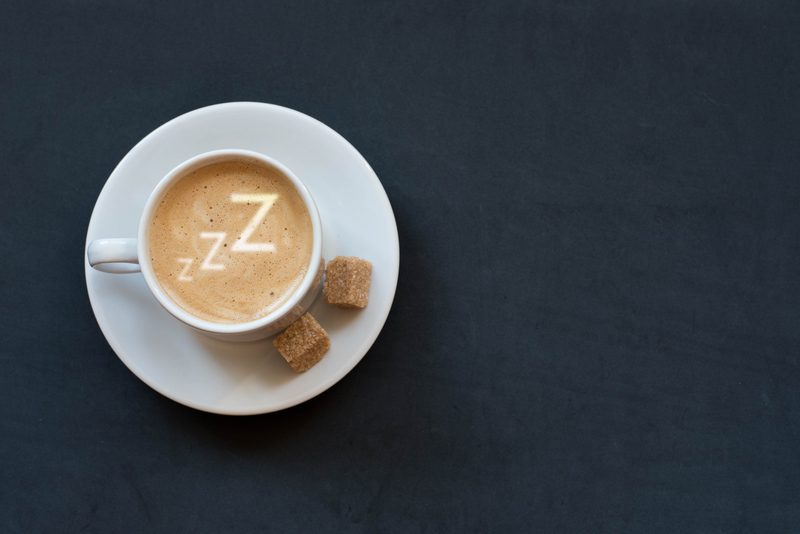 You’re craving sugar, getting upset easily, breaking out — here are the signals you might be missing when it comes to getting enough sleep. The science behind the benefits of sleep — for our success, our mood, our performance, or our overall well-being — continues to mount, and one constant thread persists: Most of us need more sleep. Research from the CDC reveals one in three adults suffers from lack of sleep on a daily basis, and on a regular night, most Americans are sleeping two hours less than we were a century ago. According to National Geographic, we’re spending more than $411 billion to make up for the loss of productivity and accidents caused by exhaustion alone. If you find yourself consistently reaching for your 3 p.m. candy bar to get through the afternoon, your body could be telling you that you’re not hungry — you’re tired. Studies show that adults who are more tired tend to crave sweets throughout the day. That’s because getting less sleep causes your body to produce a hunger hormone called ghrelin, and decreases production of the hormone leptin — the chemical that tells your body you’re full. According to the APA, regularly skimping on snooze time can amplify feelings of anger and aggression throughout the day. In a 2018 study, scientists looked at 142 participants who were randomly assigned to varied levels of sleep restriction, and then asked them to rate their negative feelings thereafter. Those who got less sleep showed intensified signs of anger and irritability, highlighting just another reason to get a couple extra hours of sleep tonight. Have you ever opened your eyes in the middle of the night, reached for your phone, and sent a text while half asleep? As it turns out, there’s science behind this kind of “sleep texting,” and it usually means you’re not as well-rested as you might have thought. A study published in 2018 by the Journal of American College Health surveyed 372 students, measuring the different patterns in those who use their cell phones during sleep and those who don’t. The researchers found that the students who texted in their sleep had poor overall sleep quality on a regular basis, showing a clear link between screen time and sleep disruption. If you doze off the moment your head hits the pillow, your body could be sending you a sign that you’re exhausted. The National Sleep Foundation tells us that it should take us anywhere between 10 and 20 minutes to fall asleep after getting into bed, and if you’re snoozing within seconds of getting under the covers, you’re probably more tired than you should be. Whether you like it or not, there’s a reason we call it “beauty sleep,” and that’s because the physical act of sleeping puts your body through a process of recovery and rest, and that includes your skin. Studies show that sleep deprivation has been linked to the formation of dark under-eye circles and even breakouts, while lowering collagen production and skin hydration. Sleep plays a vital role in restoring the immune system, so if your body is in a high-stress state for too long, it could start showing on your skin. Sports and performance researchers have spent years looking at the importance of adequate sleep for top athletes, in terms of seeing optimal results. But the rest of us can feel a lack of sleep on our own physical abilities, too. People who are constantly tired seem to have slower motor skills, which is what causes us to trip on our way to work, or knock over the glass of water on our desk. End-of-day rituals allow us to wind down, relax, and recharge from our workday — and if you completely skip the routine to immediately hit the pillow, that could be a sign that you’re too tired. By implementing small steps to disconnect from your day, like setting an alarm to put away your phone, or journaling for a few minutes of reflection, you’re putting your body in a state of relaxation, allowing you to sleep more soundly and wake up feeling well-rested. By neglecting any sort of bedtime routine, you may find it more difficult to stop your mind from racing and to send your body into a sound sleep — causing you to feel exhausted the following day.